The Starship Voyager leads a fleet into the Delta quadrant to find out if the Borg are truly gone. Afsarah Eden, the new captain of Voyager, is charged with getting answers, to reach out to possible allies and resolve old enmities in the Delta quadrant. 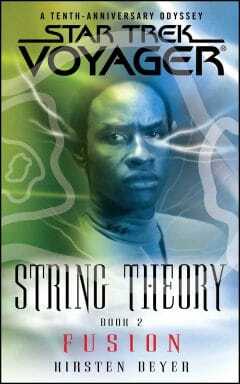 Freed with a thought, the greatest menace to humanity, the Borg, are gone, absorbed into the Caeliar gestalt. But are they? Can this deadly menace that has hovered over humanity for decades truly be gone? Might some shadow of the Caeliar remain? The Federation decides that they have to know, and Starfleet is ordered to find out. The Starship Voyager leads a fleet into a region of space that has lived in fear of instant annihilation for generations: the Delta quadrant, home of the Borg. Afsarah Eden -- the new captain of Voyager -- is charged with getting answers, to reach out to possible allies and resolve old enmities in the Delta quadrant. The perfection that was given to the Borg was withheld from Seven of Nine. 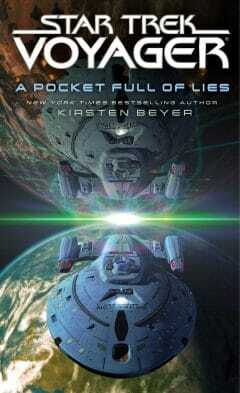 Left behind, she is living a twilight existence -- neither Borg nor human -- and slowly going mad. The whispers of the Collective, comforting murmurs she has always known, are replaced with a voice deep within her that keeps insisting she is Annika Hansen. 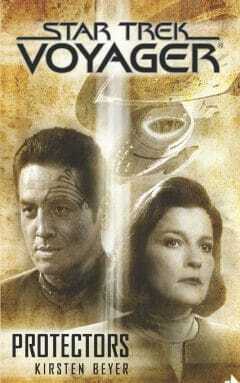 Chakotay, the former captain of Voyager, offers to help Seven rendezvous with the ships that Starfleet Command has sent into the Delta quadrant, the probable destination of the mysterious Caeliar. These are not the friendly stars of the Federation; the unknown and the unexpected are the everyday. 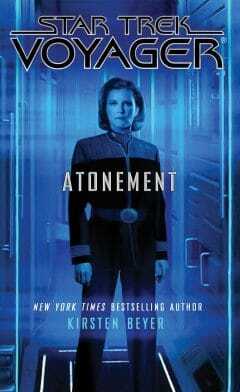 Admiral Janeway faces a tribunal determined to execute her for supposed crimes committed during Voyager’s maiden trek through the Delta Quadrant. Captain Chakotay knows that the Kinara, several species now allied against the Full Circle fleet, are not all they appear to be. 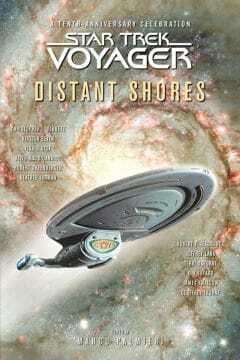 Captain Janeway of the USS Voyager faced a choice: accept exile or set a course for home, a seventy-thousand-light-year journey fraught with unknown perils. She chose the latter. Janeway's decision launched her crew on a seven-year trek pursuing an often lonely path that embodied the purest form of the Starfleet adage "to boldly go..."
The Full Circle Fleet has resumed its unprecedented explorations of the Delta Quadrant and former Borg space. First contact is made with the Nihydron, humanoid aliens that are collectors of history, but when an exchange of data is proposed, the Nihydron representatives are visibly shaken when Admiral Kathryn Janeway greets them. The disruption in the space-time continuum caused by the creation of the "Blue Eye" singularity continues: Thread by thread, the fabric slowly frays and peels away, breaking down barriers between dimensions. As the lines between realities blur, the consequences cascade. 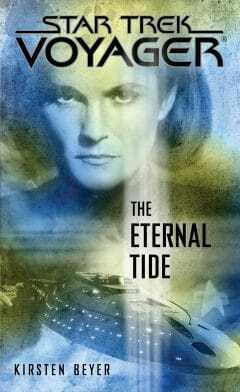 Admiral Janeway orders the Fill Circle Fleet to focus its attention on a unique planet where a new element has been discovered, but she soon realizes that the secrets buried on this world may be part of a much larger puzzle - one that points to the existence of a species whose power to reshape the galaxy might dwarf that of the Krenim. 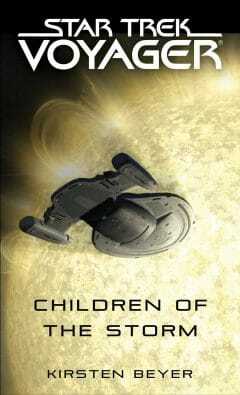 B'Elanna Torres and her daughter, Miral, are missing in the wake of a brutal attack on the Klingon world of Boreth. 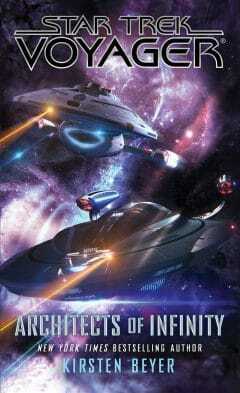 Voyager's crew must unravel an ancient mystery as Voyager is drawn into a desperate struggle to prevent the annihilation of the Federation. 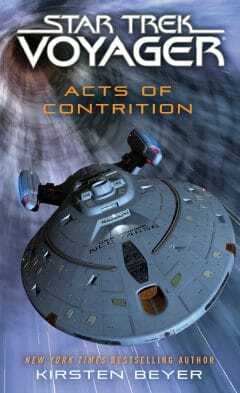 In its current mission to the Delta Quadrant, Captain Chakotay must unravel why three Federation starships have suddenly been targeted without provocation by the powerful Children of the Storm ... with thousands of Starfleet lives at stake from an enemy that the Federation can only begin to comprehend. The Voyager fleet continues its exploration of the Delta Quadrant, investigating the current status of sectors formerly controlled by the Borg. Fleet Commander Afsarah Eden begins to experience “awakenings” as she encounters artifacts and places that make her feel connected to her long-lost home. Captain Chakotay is determined to prove to Starfleet Command that the fleet’s ongoing mission in the Delta Quadrant is vital to Federation interests, and the key to doing so may lie in a distress call Voyager received nine years earlier but could not investigate. 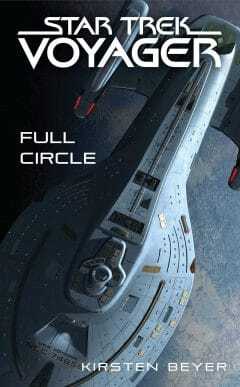 Admiral Janeway has now taken command of the Full Circle Fleet. Her first mission: return to the Delta Quadrant and open diplomatic relations with the Confederacy of the Worlds of the First Quadrant, a civilization whose power rivals that of the Federation. TrekNovels.com is not endorsed, sponsored or affiliated with CBS Studios Inc., Paramount Pictures Corp or the STAR TREK franchise. STAR TREK and all its related marks, logos, and characters are owned by CBS Studios Inc. All images copyright Pocket Books. This website is a participant in the Amazon Services LLC Associates Program, an affiliate advertising program.